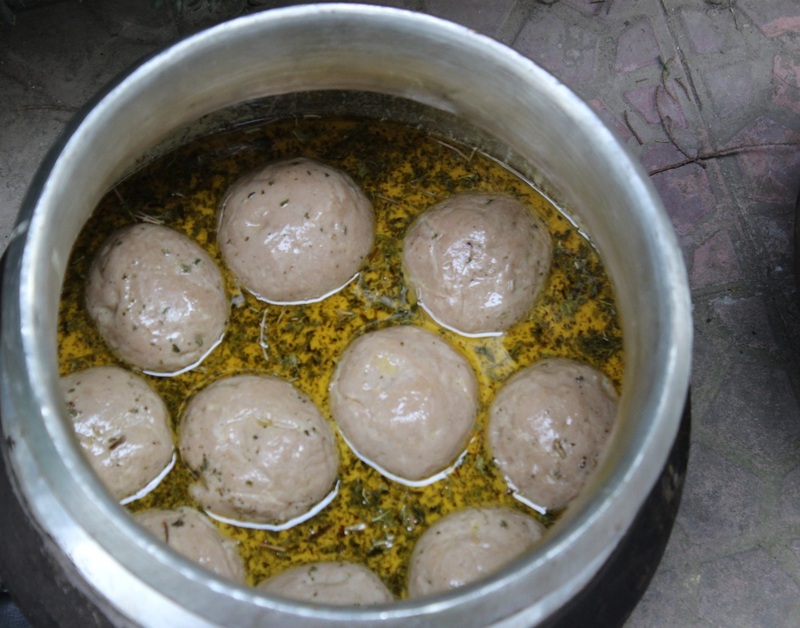 Kashmiri Wazwan | All You Need To Know About The Royal Kashmiri Cuisine. Kashmir is famous all around the world for it's mouth-watering, flavorsome and royal Kashmiri Cuisines cuisine popularly known as ‘Wazwan’. Wazwan is a multi-course meal with different varieties of vegetarian and non-vegetarian dishes. (predominantly mutton-based dishes). Wazwan is usually savored in Kashmiri weddings, gatherings, reunions, and food festivals and can include up to thirty-six delectable dishes. The word Wazwan is taken from two Kashmiri words ‘Waz’ meaning Cook or Chef and ‘Wan’ meaning shop. The Wazwan came to India in the 14th century when Timur a Mongol invader invaded India. At that time, India was ruled by Mughal Emperor, Nasiruddin Muhammad of Tughlaq dynasty. During this period lot of trained weavers, artisans, architects, woodcarvers, and cooks migrated to Kashmir from Samarkand, and the descendants of these cooks came to be known as Wazas, who are the traditional master chefs of Wazwan Cuisine. The infusion of tradition and culture lead to a beautiful amalgamation which we can see in the Wazwan dishes. 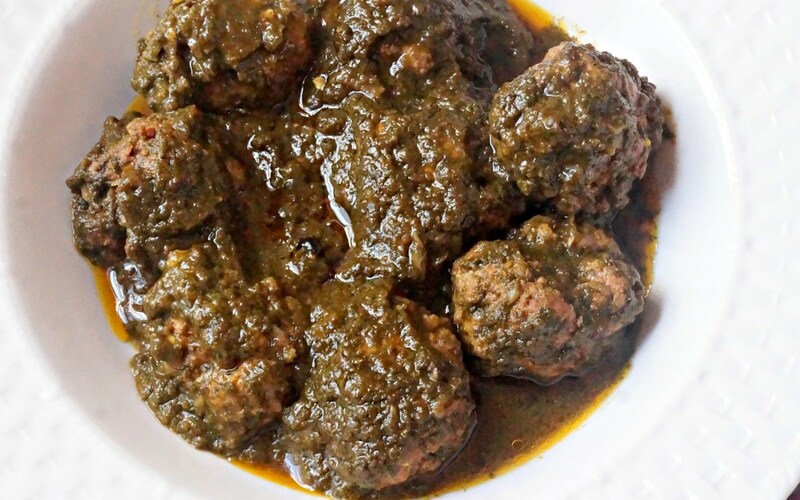 The method of cooking for Wazwan includes Iranian, Afghan and Central Asian methods. Wazwan is served in copper plate/thali called Trammi or Traem. 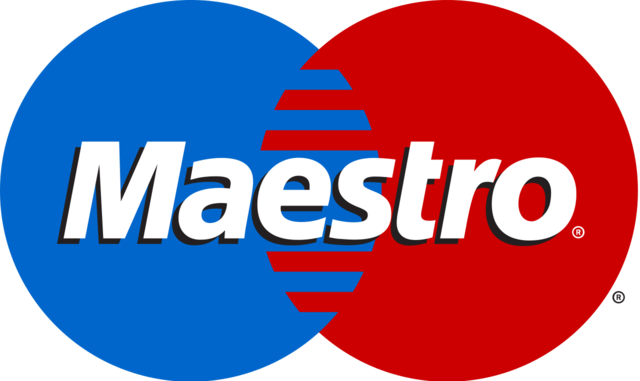 Usually, 4 people share this one Traem. Wazwan food is cooked in a very special way. Preparation of Wazwan is an art. 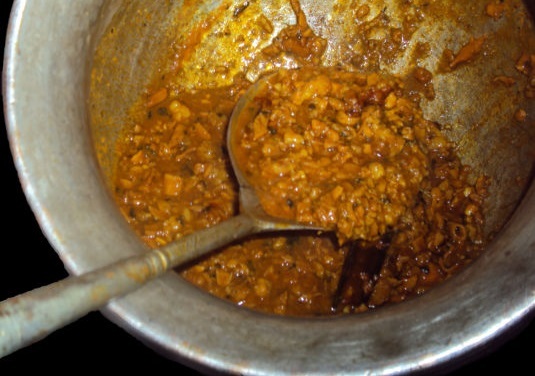 The Wazwan is prepared by the chef known as ‘Waza’. nowadays it is actually the availability of the Waza that determines the marriage schedule of Kashmiri wedding. 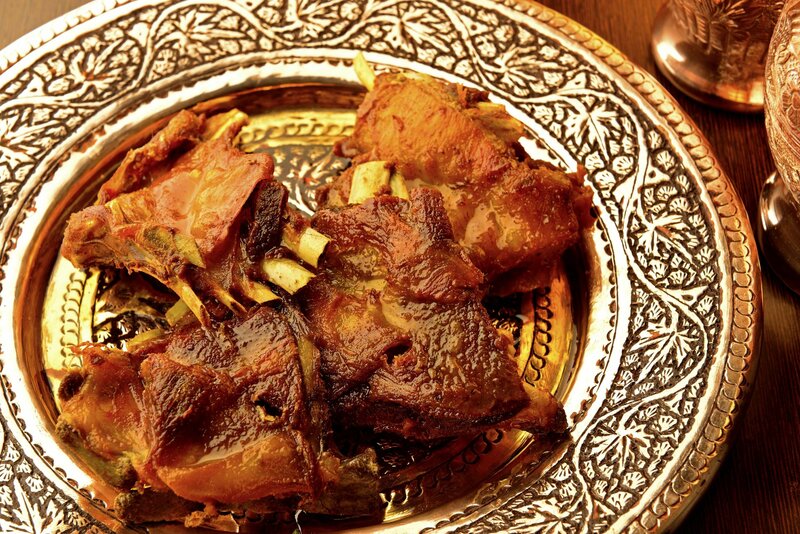 The Wazwan is cooked in copper vessels which are plated with nickel. 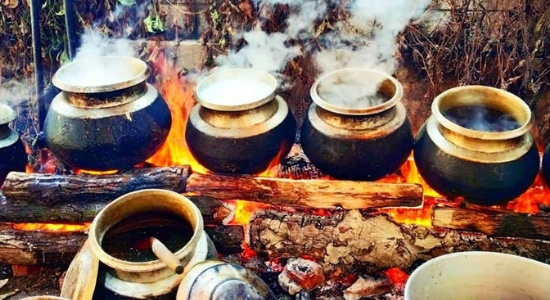 The food in these vessels is cooked over firewoods. Among thirty-six meals, fifteen preparations of meat are cooked overnight under the guidance of a head chef called Vast Waza. The Wazwan food contains a lot of dry fruits and it uses spices which are freshly homemade rather than the ones available in markets. Most of the Kashmiri cuisine is red in color which is usually derived from either the Kashmiri chilies or Cockscomb flower called Mawal. Before serving the food the washing of hands takes place in a special way. People wash their hands in Trash Naer which is brought by Waza or the close relatives join him in serving. Trash near is a copper vessel with a copper jug with the help of which guests wash their hands. A typical Wazwan Traem consists of rice and multi-course dishes. As it may be served pre-plated, the meal is consumed in a specific order. Starting from the Tabak Maaz, Methi Maaz, and the Seekh kebab and follow it up with the Rista, furthermore some more meat items, such as Rogan josh. The finisher of the Wazwan is the Gustaba, Some of the main dishes are listed down. Rogan Josh: This is also Meat dish in which lamb is cooked in oil and Kashmiri spices. The color of the dish comes from Kashmiri Red Chillies added to it. To prepare Rogan josh the lamb or mutton meat needs to be marinated at least 2 hours before and then it is cooked in oil with other species. Tabak- Maaz: Tabakh Maaz is a glossy meat made of lamb ribs that are cooked twice and then simmered in yogurt with spices till tender. It’s then fried thoroughly and served in dry form. The richness of the dish is apparent with the ingredient list, it tastes absolutely fabulous and the aroma pulls you towards another bite. Yakhni: This dish can be prepared with lamb or lotus stem. It is a yogurt based dish cooked in yogurt and spices without chilies. Bay leaves, cloves, cardamoms are the prime flavors to the dish. In yakhni mutton is cut in the form of chunks of about.5-6 cm which is then pre-cooked in boiling water for 20 mins then the gravy of yogurt is added. Aab Gosh: This a mild dish, this is basically a dish in sheep ribs are cooked in milk, saffron, and cardamoms without spices. 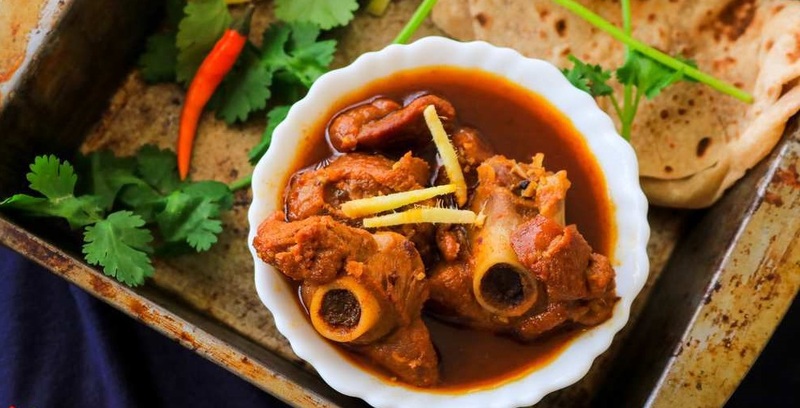 Basically in aab gosh, a sacral area of the vertebral column of lamb or mutton is cooked in milk. Waza Chamman: This is a cheese dish. Cheese is called Chamman in Kashmiri. It this dish, cheese is cooked in tomato sauce along with spices. Along with these dishes curd, pickle and chutney are served in small pots. The chutney can be of walnut, onion, pumpkin, radish etc. The Wazwan food ends with Phirni. It is a dessert made of sooji and milk served when cool and is garnished with lots of dry fruits and is very creamy and delicious.